With tongue planted firmly in cheek, the Stanton Lamp from Sean Kenney merges classic modernist-era styling with the unique texture and form of a LEGO-brick sculpture. Made of ABS plastic and weighted with a hidden steel frame, the textured, fluid base is topped with a flat fabric shade that softly diffuses light. These lamps have been featured on HGTV, Apartment Therapy, NBC News, Fab, and more. The switch is located on a glossy black neck. A standard E12 bulb is included. These hand-made, limited edition lamps come with an engraved signature on the base. 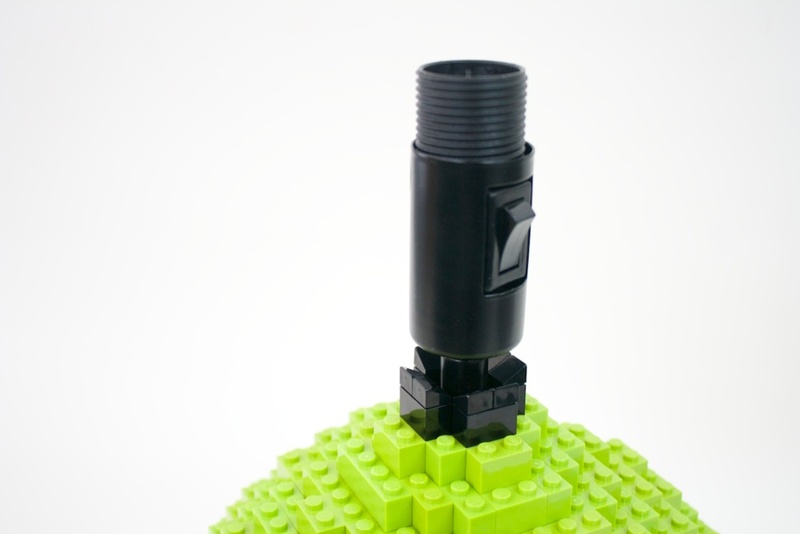 Minimalist and clean integration between electrical components and LEGO components. 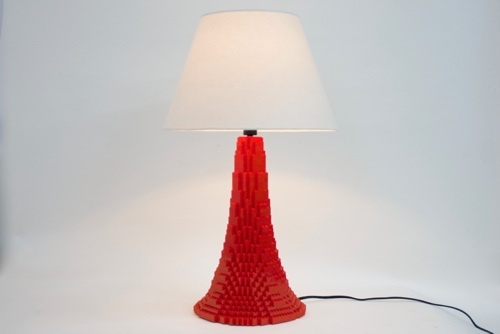 Every LEGO element is glued one-by-one as your lamp is assembled, creating a solid, hefty sculptural lamp. 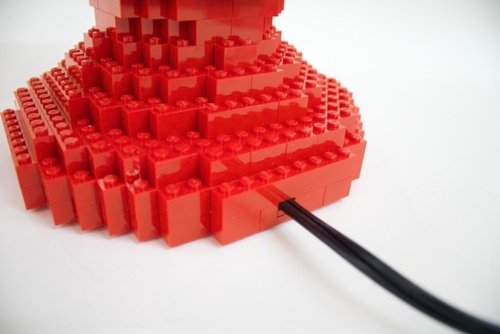 An internal steel frame provides extra weight and securely mounts the electrical elements into the body of the lamp. CFL and LED bulbs are reccomended for colorfastness, brightness, and energy savings. 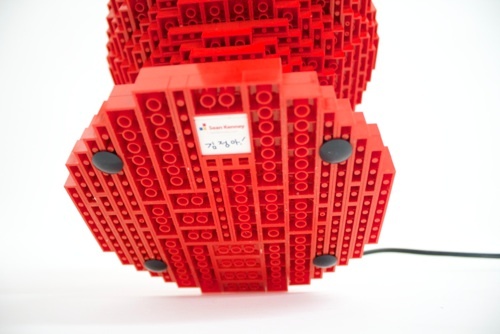 Sean's LEGO-built lamps have been featured on HGTV's Home by Novogratz.